Coupgon members check your app! 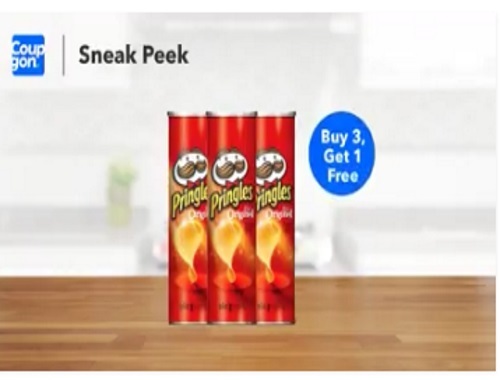 Get a Free Pringles can (up to $2.99 value) when you purchase any 3 cans 148g or larger. Limit 1 Coupgon must be presented for each product purchased. Not all items are available in all stores. Can only be redeemed using the Coupgon mobile app. Offer is valid for a limited time. My app shows that it's clippable for 7 days.